Texas Historical Commission on improvements to the exterior of its 1920s-era building. Craft beer continues to extend its reach across North Texas, with what will be the area's easternmost brewing operation nearing completion in Royse City. 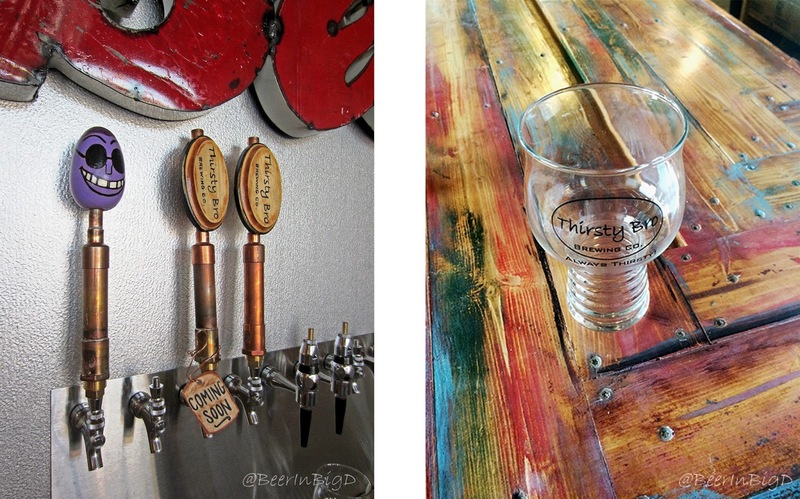 Thirsty Bro Brewing Co. is in the final stages of construction as it prepares to open its doors in October. That's a little over six months after the project got a boost from a $25,000 grant approved by the town's city council in March. 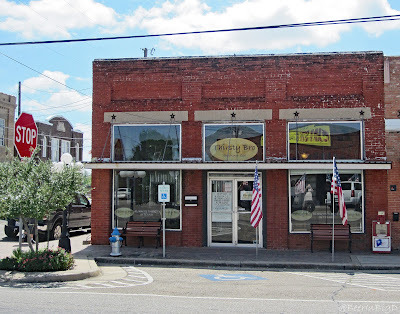 According to founder Terry Gordon, funds from the incentive were used to help improve the exterior of the building, which was originally built in 1920. 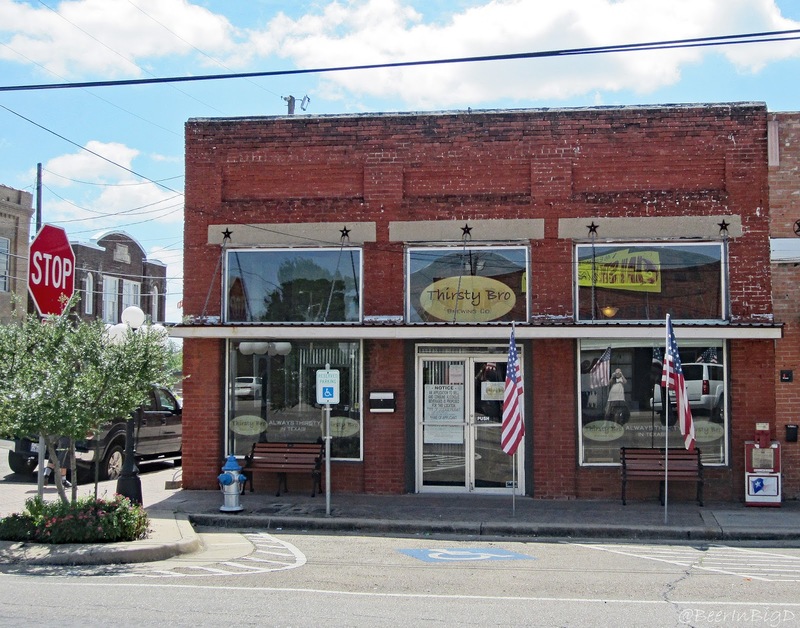 Located at 141 E. Main Street in downtown Royse City, the interior of the structure comprises about 2000 square feet. Roughly a third of that has been set aside for the taproom upfront, with the rest slated for production space in the back. In terms of design, the brewery incorporates an industrial motif, which serves to complement walls that feature a fair amount of exposed brick. 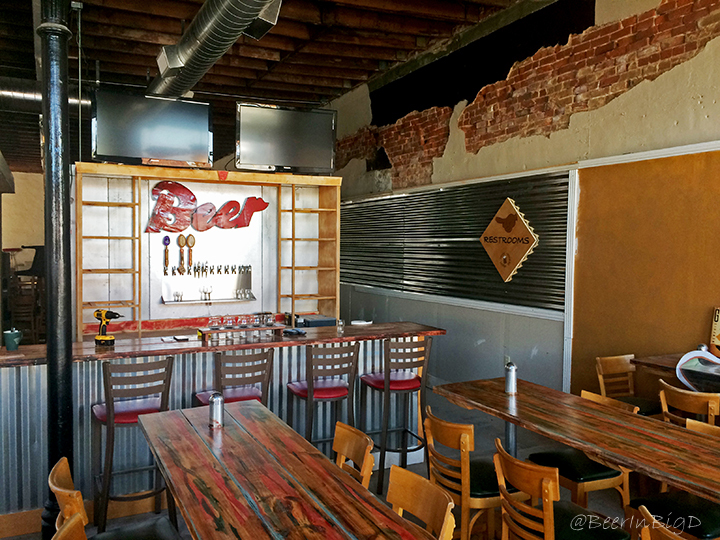 The taproom at Thirsty Bro is cozy and communal, and able to seat well over 50 people. For Gordon, a long-time veteran of the beverage industry, the establishment of Thirsty Bro is the culmination of thought process that dates back to when he first became a member of workforce. "Like a lot of people, my first job was in a restaurant," said Gordon. "While working there, it always stuck with me how people seemed to be happiest and the most content when sitting down to eat or drink. So, based on that I always thought I'd open a restaurant after I had gone through my regular career. Later on, though, I started homebrewing and my attention turned to starting a brewery. It's still a place where people can come, bring something to eat and have a few beers, so it pulls it all together." On that note, while the brewery won't serve food onsite (and food trucks are not permitted by the city), menus will be available so patrons can order from one of the many local restaurants. Beer options, however, should be plentiful, with Gordon intending to offer up a range of light and dark styles in a portfolio to include beers like Bro-Mance Lager, Smokin' Ashes IPA and Big Bro Breakfast Stout. "We'll probably have up to 10 beers on tap all the time, with six to eight regulars and a couple that will rotate," said Gordon. "Some will be seasonals, like a summer or winter ale, while others will be taproom specialties or beers in the works that we'd like to get feedback on. Eventually, I'd like put a mead on as well, just to do something a little bit different." Left: Thirsty Bro's tap handles are hand-made, including a purple-headed version created for Gettin' Figgy Wit' It, a beer brewed with figs and apricots. Right: Serving vessels at Thirsty Bro have a base similar to that of an IPA glass, with characteristics of a tulip up top. Once both state and federal permits are secured, Gordon plans to open on a soft basis while brewing on a half-barrel pilot system. An official grand opening will occur after the brewery installs and gets up to speed on its 15-barrel production setup, which is expected to be delivered in mid-October. As for how Thirsty Bro got its name, that was influenced by a popular surface water sport. "I grew up in Florida around surfing, so I got in the habit of calling everybody 'bro' all the time" explained Gordon. "About a year and a half ago, I was driving to Denver with my wife, Catherine, and we were trying to come up with a name for the brewery. I wanted something with 'thirsty' in the name, so we put the two together to make Thirsty Bro and it just stuck." Look for Thirsty Bro to start out as a draft-only operation, with canning to follow sometime in the future. Labels: new breweries, preview, Royse City, Thirsty Bro Brewing Co. Awesome article, Bro! Thank you so very much for your support. Can't wait to share a cold one with you. ALWAYS THIRSTY!